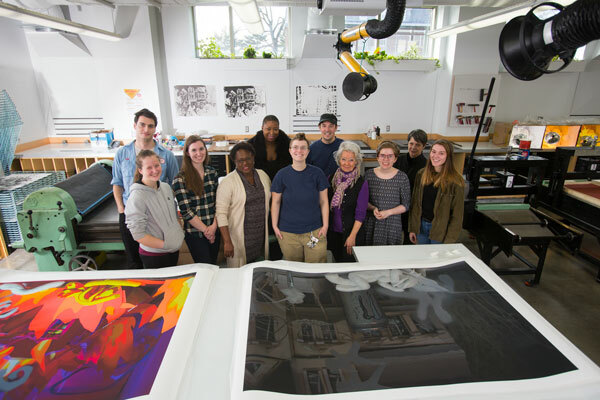 The Department of Art is committed to nurturing students who are passionate about creating work in a wide variety of disciplines, including painting, drawing, sculpture, ceramics, printmaking, animation, and intermedia. A wealth of research demonstrates that studying art at the college level enhances creativity, sharpens critical thinking skills, and prepares students for productive careers in a variety of fields. The Department of Art offers several avenues of study so that students can choose the path best suited to them. The Bachelor of Fine Arts degree is for students looking to become professional artists. Students looking for a broad liberal arts education are encouraged to choose our Bachelor of Arts degree. Future primary and secondary art teachers can enroll in our Bachelor of Arts Education degree. The graduate program offers immersive three-year degrees in Fine Art and Art Education.